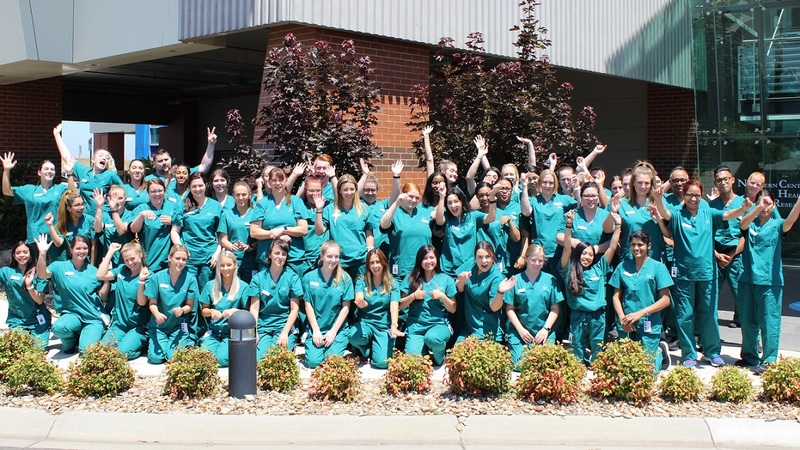 This week, we welcome 54 graduate nurses and midwives to Northern Health. For the 2019 intake, a record number of applications were received and from that, 127 graduates have been employed by Northern Health – 107 General Nursing and 20 Midwifery & Nursing/Midwifery. “In turn, we aim to ensure that we will support and further educate these newly qualified nurses to become highly-skilled health practitioners that will at all times, reflect key Northern Health values of kindness and empathy,” she added. The aspiring nurses and midwives will take part in a two-day orientation of training and workshops, before commencing their rotations. Orientation to Northern Health is designed specifically to support graduate nurses and midwives, addressing both clinical and administrative aspects over a comprehensive program in our state-of-the-art Northern Centre for Health Education and Research. Rotations across varied clinical areas allow time to consolidate, build confidence and independence, while graduates have the opportunity to work across all Northern Health’s campuses – Northern Hospital Epping, Broadmeadows Hospital and Bundoora and Craigieburn campuses. As a tertiary teaching health service, Northern Health offers three streams of graduate programs: General Nursing, Midwifery, and Combined Nursing & Midwifery, providing a number of options for graduate nurses and midwives. Our graduate programs aim to support beginning practitioners as they make the transition from student to registered nurse or midwife, with opportunities provided to merge undergraduate theory and knowledge with practical skills. “We have many experienced clinical staff who provide practical assistance and support to our graduates at Northern Health,” she said. Congratulations and good luck to all nurses and midwives beginning their Northern Health journey in 2019.